MAZAR-I-SHARIF, 27 January 2012 (IRIN) - Much of Dawood Boy’s village in northern Afghanistan is empty. More than 1,000 families from Alburz in Balkh Province abandoned it 4-6 months ago after a drought affecting nearly half the country left 2.8 million people in need of food assistance, according to the World Food Programme. The drought destroyed the crops Boy had planted, killed his livestock which no longer had animal feed, and left his family without seeds for next season. 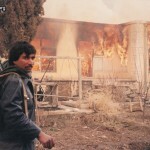 “We lost everything,” he told IRIN. Now he, his two wives and 11 children live on the outskirts of Mazar-i-Sharif, some 85km away, in rented homes without water or electricity. In this community, families displaced by the drought live four or five to a home, with only a tarpaulin covering the mud floor, and sheets covering the holes meant for windows. Young children walk around barefoot in sub-zero temperatures and do not go to school. In each family one man tries to find casual work in the city. 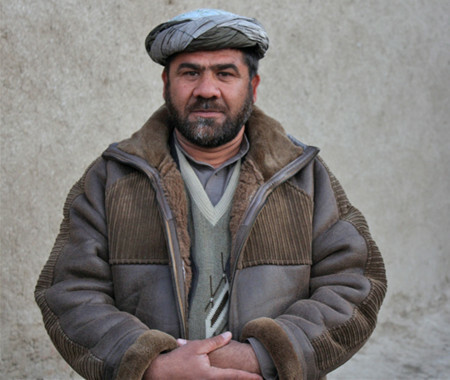 If he is lucky, he earns 200 Afghanis a day (US$4) with which to feed his entire family. Newly arrived families received tarps and blankets from the International Organization for Migration (IOM), as well as a three-month food ration, but some say they are still very much in need. Their situation is unlikely to change for the better in the near future. Boy says he and his people are happy to return to Alburz in Chimtal District to cultivate, but do not have seeds to plant. Unless they get their hands on some in the next few weeks, they will lose next year’s harvest too. IOM says more than 6,000 families - 42,000 people - have been displaced across Afghanistan due to the 2011 drought. Those who stayed behind are in many cases more vulnerable, because they do not have the means to relocate and pay rent. But the UN Office for Coordination of Humanitarian Affairs (OCHA) says it is concerned some displaced farmers could end up in what the deputy head of the Afghanistan office, Joseph Inganji, calls a “vicious circle”. Given that the planting season is almost over, if they do not receive seeds “right now”, they will have no crops to harvest come summer, leaving them without a livelihood to return home to, and in need of assistance. They could then form part of the increasingly protracted displacements across the country. There are already more than 450,000 people displaced by conflict in Afghanistan, of whom 289,000 have been displaced for more than one year, according to the UN, putting a stress on government and aid agencies in a country already heavily dependent on international aid. The Ministry of Agriculture, Irrigation and Livestock (MAIL), the Food and Agriculture Organization (FAO) and other aid agencies have distributed some 1,450 tons of seeds to people affected by the drought in Balkh Province, one of the most affected, according to government and FAO officials. FAO plans to distribute at least another 100 tons as soon as it can assure the quality of the fertilizer. But none of those distributions have specifically targeted displaced people. The government distributed improved wheat seeds (which produce higher yields than traditional seeds from the market), as well as rice and wheat with which to make flour, to 15,000 drought-affected farmers still living on their farms, Kateb Shams, head of the provincial agriculture department, told IRIN. FAO distributed packages of seeds and fertilizer at a subsidized price, reaching 10,000 families, including those displaced people who met the criteria of owning land, according to Ahmad Zia Aria, head of the FAO office in Mazar-i-Sharif, covering the northern region. But even 2,000 Afghanis ($41) may be too much for some of the displaced who can barely afford their rent. FAO plans to reinvest the proceeds of the seeds into drought-affected communities. Other agencies, like ActionAid, have focused on vulnerable families, including women-headed households in drought-hit areas. Seeds are available for purchase from private companies, but FAO lacks the budget to buy more seeds and would not be able to procure and distribute them in time, Aria said. Aid agencies warn that seed distribution at a time of desperation is tricky. To cope with their lack of income and food, farmers may sell their agricultural equipment or eat seeds instead of planting them. Seed distribution should thus be accompanied by food to carry them over until the harvest, and livestock to help rebuild livelihoods, OCHA said, as well as assistance to physically relocate. Between 1 January and 31 March, UNAMA documented 266 civilian casualties (62 deaths and 204 injured) from mortars and rockets, up 43 per cent from the same period last year and accounting for half of civilian casualties from ground engagements.